Joe Riley grew up in a farming family in Stomping Creek, West Virginia. 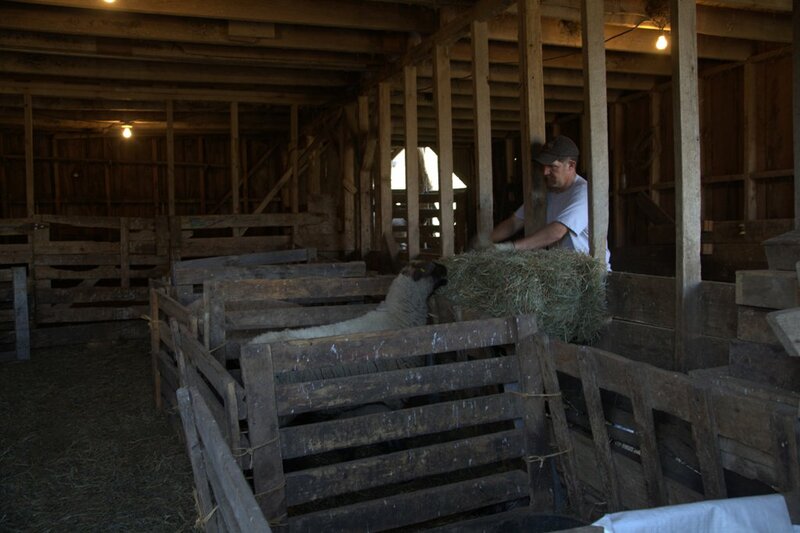 After graduating from West Virginia University, Joe became an Agriculture teacher and taught for 17 years before becoming principal of Marlinton Middle School. Joe runs his family farm with his wife and children, working long hours before and after his school job. 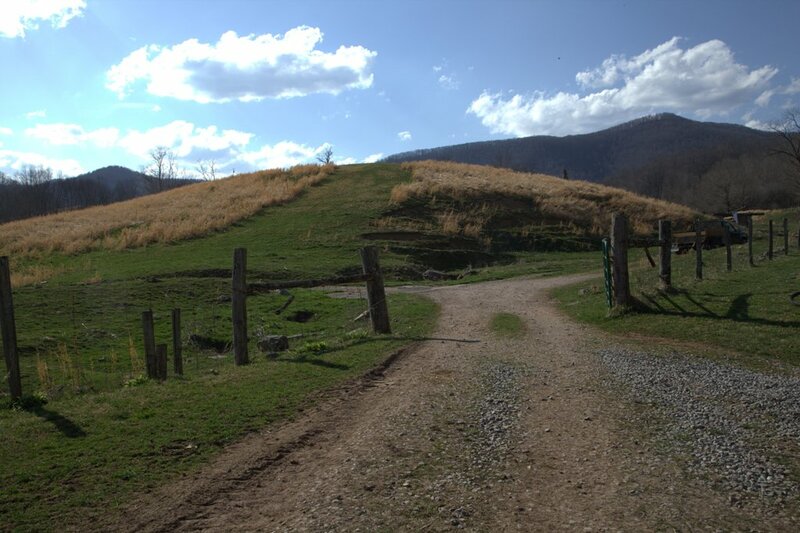 In exploring the history and heritage of agriculture in Pocahontas County, the Traveling 219 project sat down and talked with Joe about his own experiences as a farmer here in the rural Allegheny Mountains. 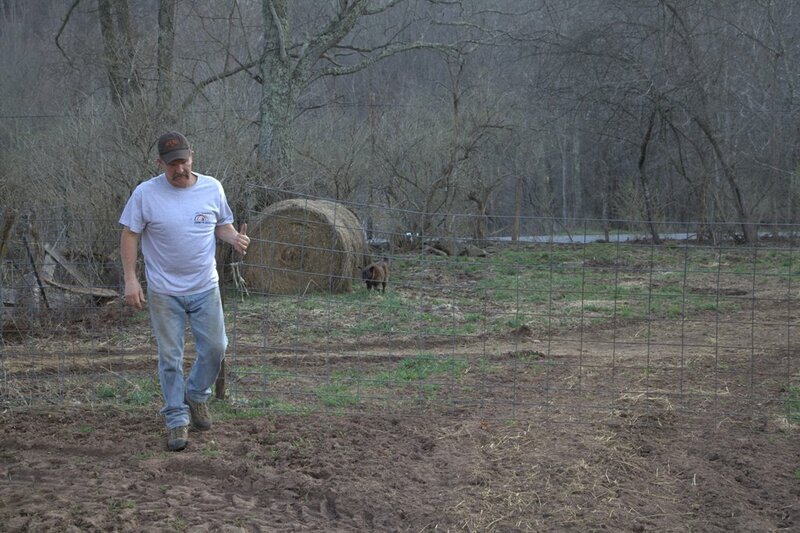 [For more stories from the Traveling 219 Farming Series click here]. 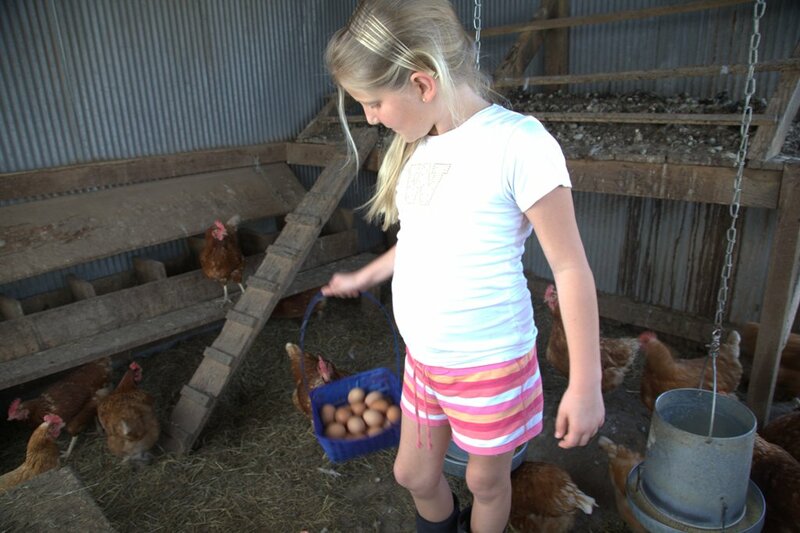 Joe’s youngest daughter Hazel collecting eggs. Photo by Jessie Wright-Mendoza. For more stories in Traveling 219?s Farming Series, click here!